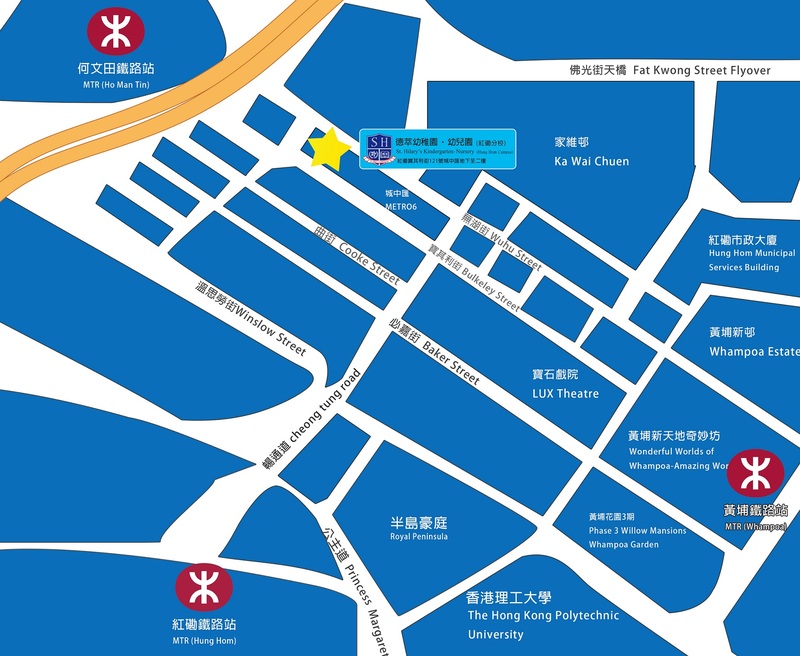 The Prince Edward Campus is located in the center of Kowloon which allows easy access from all areas of Hong Kong. 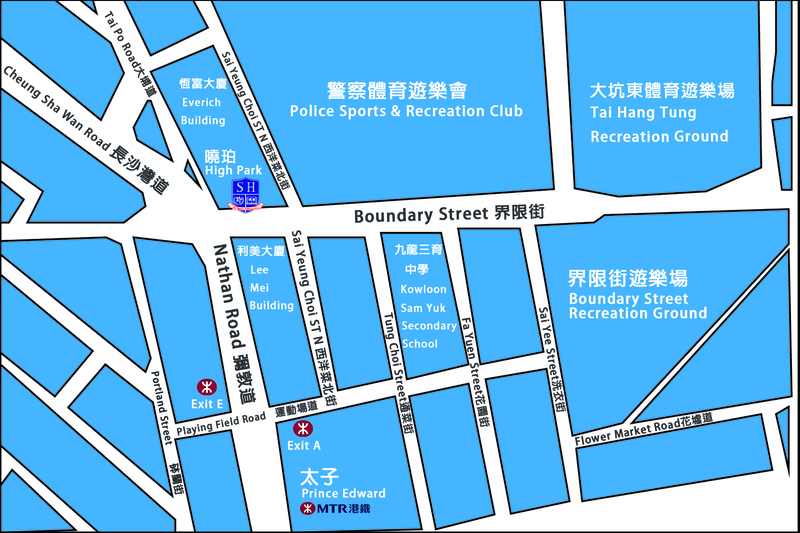 It is the opposite side to the Police Officer Club (POC) / Police Sports And Recreation Club (PSRC) which provides a quiet learning environment and only requires 5-minutes walk from the Exit A of Prince Edward MTR Station. The Hung Hom Campus is located in the neighborhood of the Hung Hom MTR Station, with nearby an interchange for buses and public light buses stations. The Cross Harbor Tunnel is only a short distance away for drivers’ convenient access to Hong Kong Island area. It also only requires 5-minutes walk from the Whampoa or Ho Man Tin MTR Station. School Address : G/F-2/F, High Park, No. 51 Boundary Street, Kowloon, H.K. G/F – 2/F Metro 6, 121 Bulkeley Street, Hung Hom, Kowloon, H.K. Office Hours : Monday – Friday : 9 a.m. – 5 p.m.